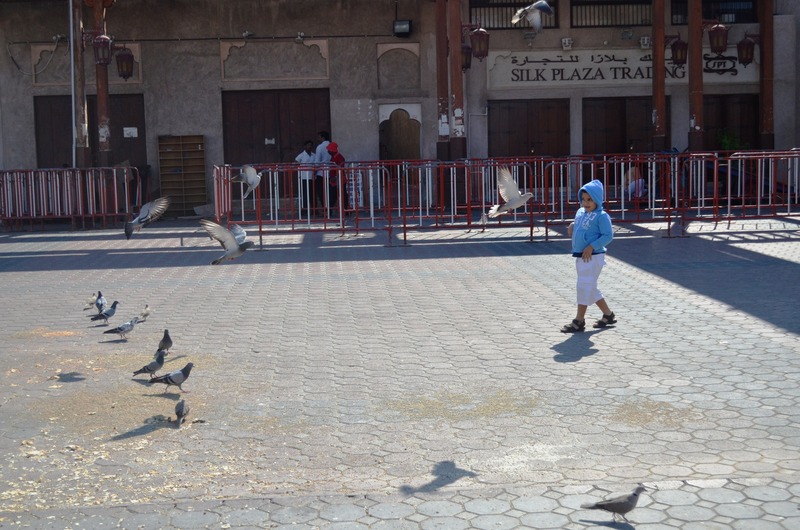 We are already into March and here I am writing my first post for this year. It has been a busy few months… along with the usual suspects of work, six year old starting school after the Christmas break etc. etc. I have just taken up an exciting new project, and the icing on this cake is that it has something (if not everything) to do with food! More on that later. It would be an understatement to say that it’s my favourite meal of the day, although it’s a rare, twice-in-a-week indulgence. On weekdays it’s just eggs on toast, a Sri Lankan hopper (a rice pancake) or the extra bits and bobs from my son’s packed school lunch, and not being the punctual type I’m always running out of time (I’m a bit of a night owl, though it may contradict my obsession with breakfast), so these are just wolfed down along with my morning coffee. 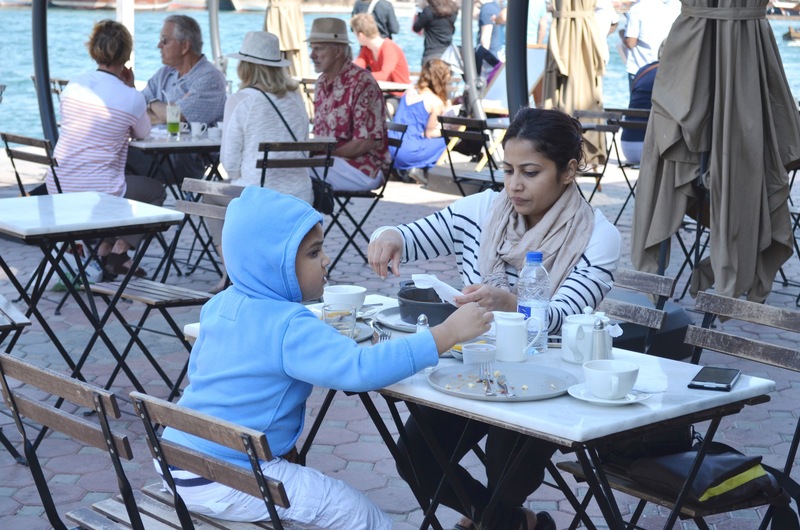 A few weekends ago, my husband and I and our six year old popped by the Creekside café by the Dubai creek for breakfast. 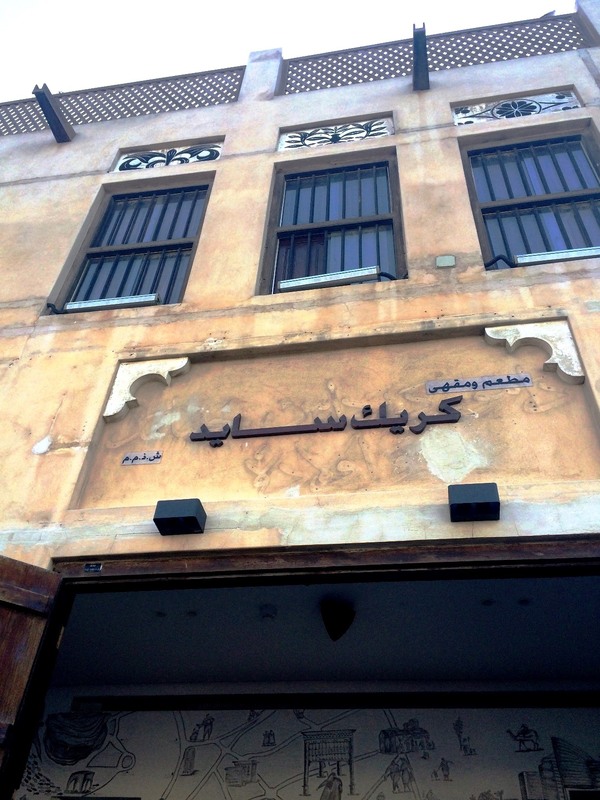 The café does not talk much about their food – their focus is more on creating a cultural hub of sorts for tourists and residents alike, basically anyone who would like to get a taste of the arts, culture, music and such likes, in a very contemporary yet traditional setting. I usually don’t write about restaurants I eat at (I might also add that we paid for our meal) but the food there was so good that I just had to gush about it somewhere (and I don’t seem to be the only one in love with Creekside café, check out this wonderful review by IshitaUnblogged which appeared in her Hidden Gems of Dubai series). 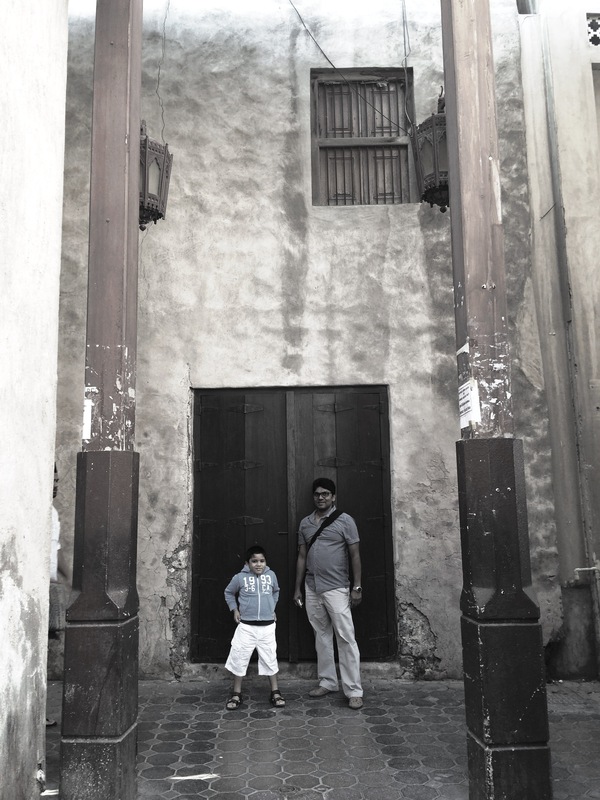 Perched right along the bank flanking the busy creek, the café blends in so well with the surrounding buildings of old Dubai with stone washed walls and a massive wooden brass studded door which is kept open with the help of what looked like an old gas-cylinder-turned-door-stopper. 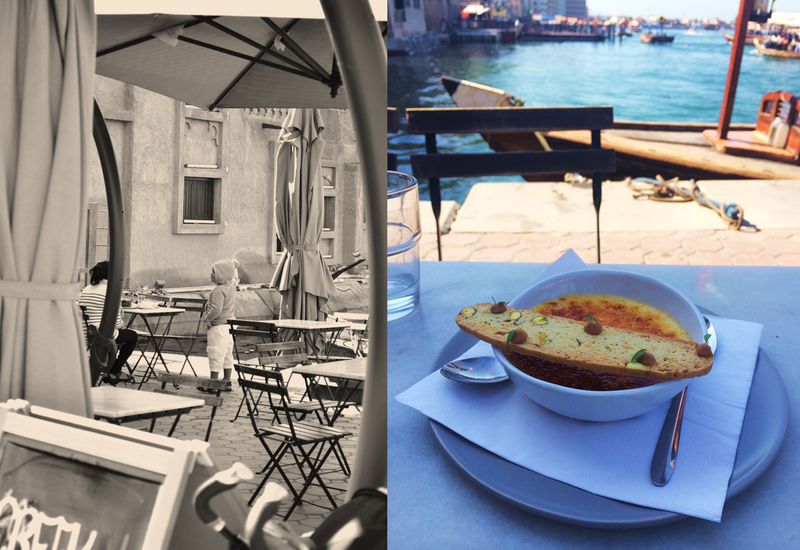 Huge umbrellas and rickety metal chairs and tables are set up outside, the setting reminiscent of a street side café in Paris, and a couple of waiters in black aprons and big smiles wait at the doorsteps to take in the orders. 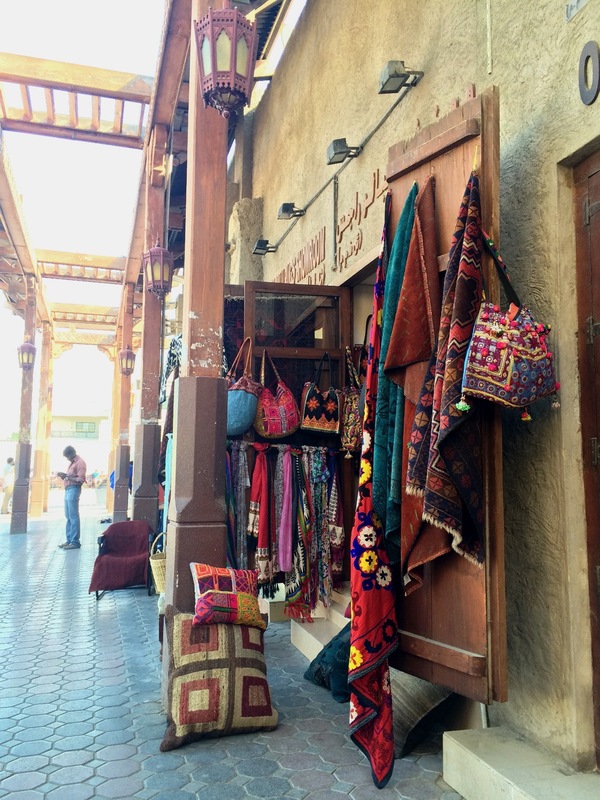 You need to park your car and walk a few kilometres through the labyrinth of the Dubai souk to get to the café – a walk I would not complain about – the quaint little shops selling rainbow pashminas, spices and Turkish lamps lining the sides of the narrow lanes are a real feast for the senses. 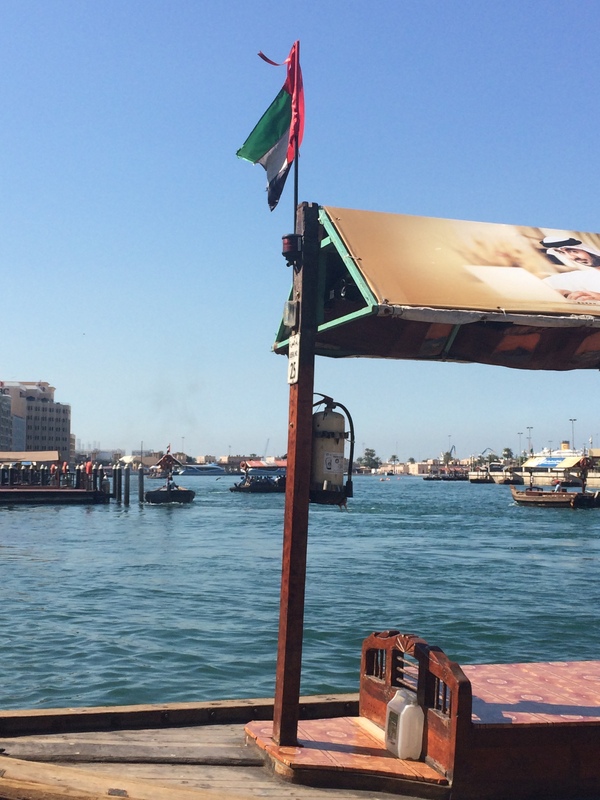 Having been living in Dubai for over nine years, it’s a pity I rarely visit this part of town….to think what I’ve been missing! The glorious weather and the equally glorious (if not better) view prompted us to sit outside. 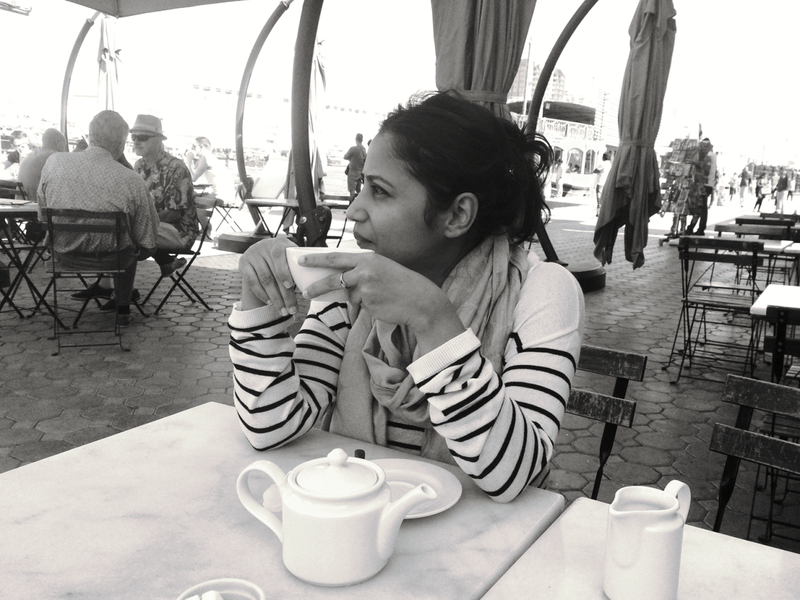 There was a cold wind blowing but the English breakfast tea we ordered came to the rescue, and pretty fast too. It was just wonderful to sit there holding warm cups of tea in our hands and watch the almost chaotic but beautiful scene of colourful abras chock-full of people floating by and screaming gulls swooping into the water to catch an unsuspecting fish. The food took rather long to come but it did not disappoint. The highlight of the meal for me was the shakshouka which they call ‘Posh Beith Temath’; two poached eggs in a delicately flavoured tomato sauce with swirls of creamy yoghurt, a sprinkling of chopped parsley and a golden lump of butter melting right in the middle and a plate of little triangles of crisp homemade pita bread to mop up all that deliciousness. The egg yolk was a bit overcooked and didn’t ooze out when I prodded it apart with the fork, as you would expect from a poached egg. So sadly there was no dunking the little pitas in egg yolk, but the dish in its entirety was ridiculously delicious! Hubs had the Creekside breakfast sandwich (another lovely creation of corn-beef hash patties and scrambled eggs on a fresh muffin with a lovely little sauce drizzled over it) while six year old had a bowl of fries and the crème brûlée which came with a crunchy pistachio biscotti on the side; a weird combo for breakfast but being the weekend I let him indulge a bit, and I took bites of everything, of course! 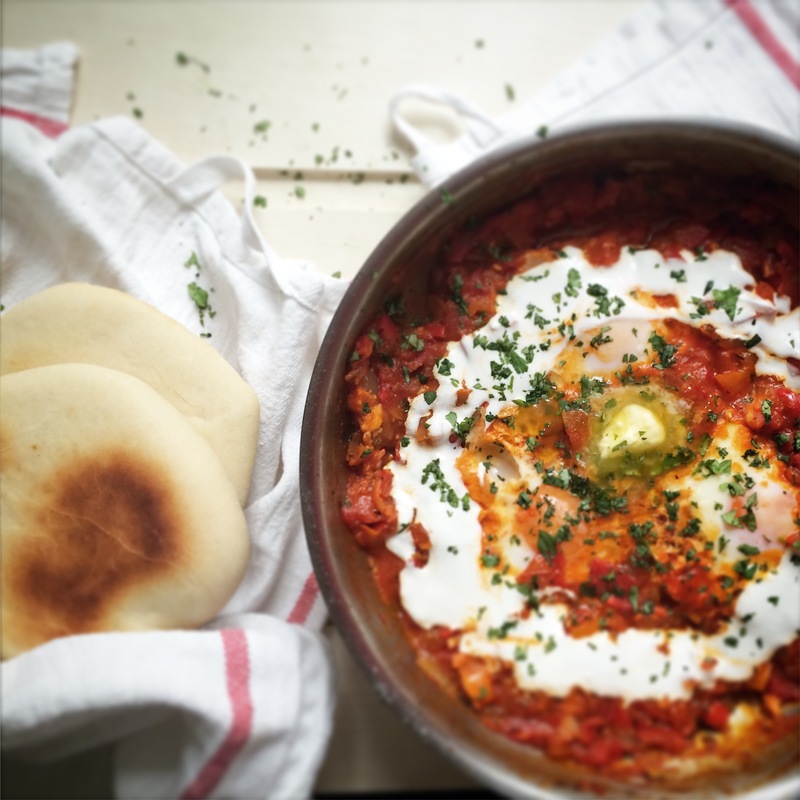 A couple of weekends later, I woke up craving shakshouka or shakshuka – however you spell it, it’s got me trapped in its tomatoey, eggy concoction of sunshine and happiness. 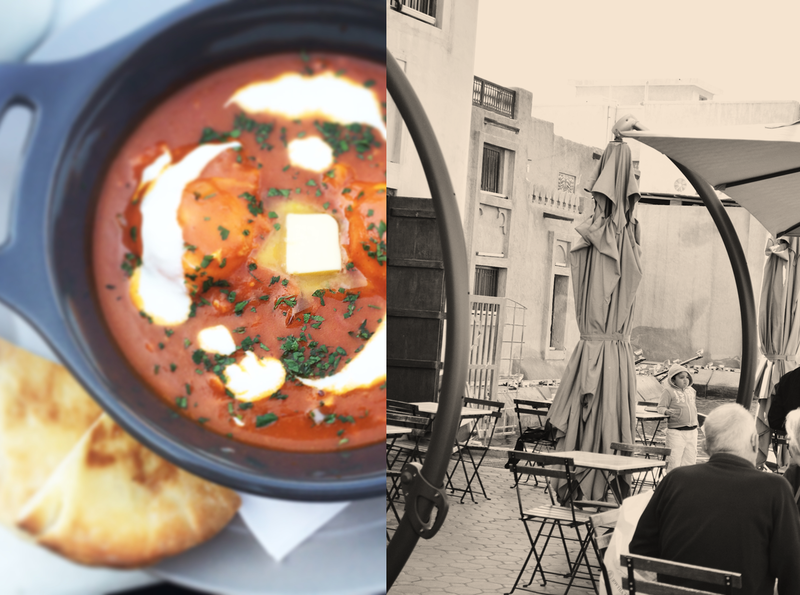 The chilly morning breeze (which sadly won’t last long) was whispering in my ear ‘Shakshouka, shakshoukaaa, shakshooooooukaaaaa……!’– I just had to try and recreate the dish at home, challenge myself and make everything from scratch, including the pita bread! And it all turned out…perfect. This was my first attempt at making pita bread but this recipe was so easy to follow and the results were absolutely amazing! 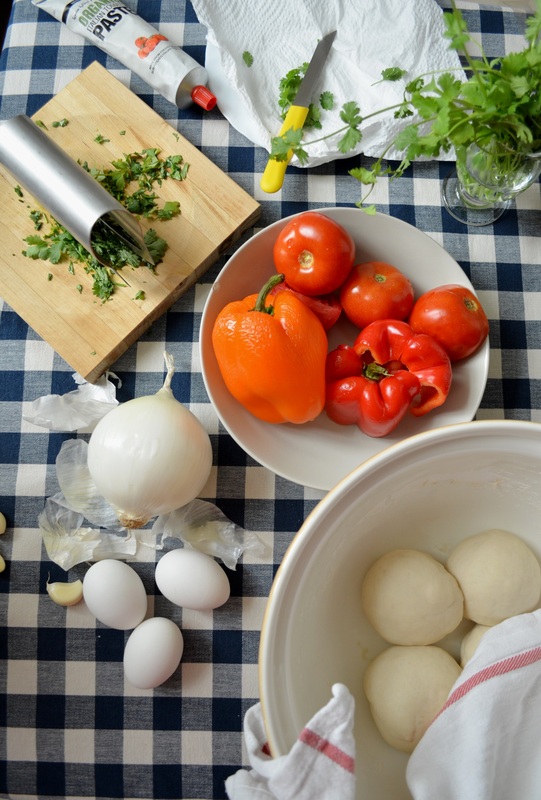 Combine all of the ingredients, mixing to form a dough dough. 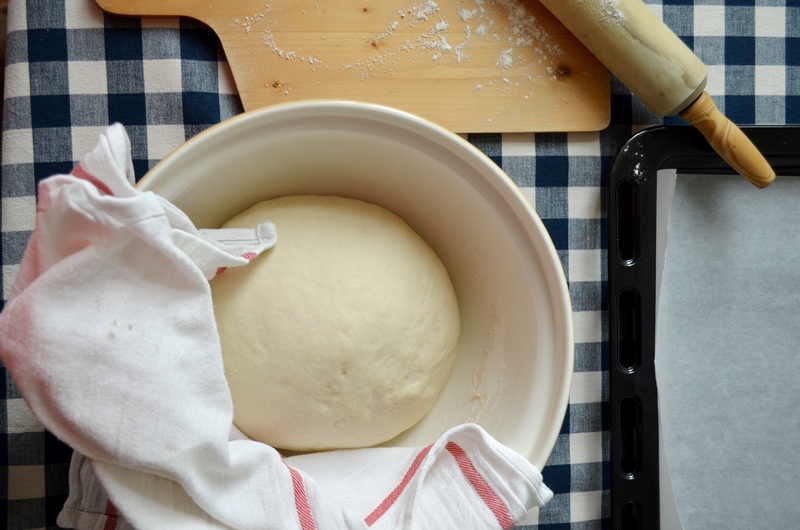 Knead the dough by hand for 10 minutes. Place the dough in a lightly greased bowl, and allow it to rest for 1 hour- it will become puffy (but won’t double in size). Turn the dough onto a lightly oiled work surface and divide it into 8 pieces. Roll two to four of the pieces into 6″ circles (the number of pieces depends on how many rolled-out pieces at a time can fit on your baking sheet). Place the circles on a lightly greased baking sheet and allow them to rest, uncovered, for 15 minutes, while you preheat your oven to 500°F. Keep the unrolled pieces of dough covered – this is very important as I left mine uncovered and they didn’t puff as much as the first batch I baked. Roll out the next batch while the first batch bakes. Transfer the baking sheet to your oven’s middle-to-top rack and bake for an additional 2 minutes, or until the pitas have browned. 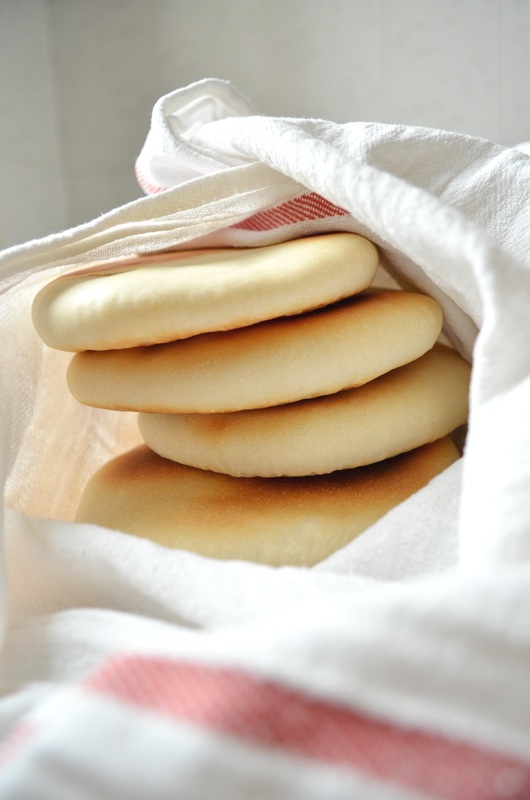 Remove the pitas from the oven, wrap them in a clean dishtowel (this keeps them soft), and repeat with the remaining dough. Store cooled pitas in an airtight container or plastic bag. 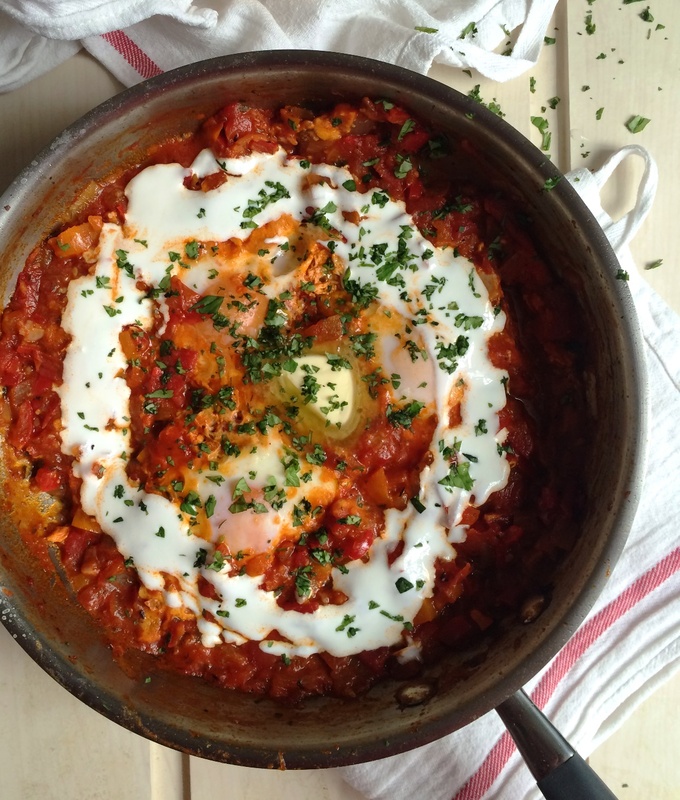 I have shamelessly copied Creekside’s shakshouka, right down to the lashings of yoghurt and butter it was served with, and that’s just because theirs was so damn good! In a heavy bottomed large pan dry-roast the cumin seeds on a high heat for 2 minutes. Heat the oil and add the onions. Fry gently till onions begin to soften. Add garlic and fry for a minute longer. Next add the peppers and herbs and continue cooking on a high heat for 5-10 minutes. Add the tomatoes, tomato paste, chilli powder, cumin, sugar, cayenne pepper, paprika, salt and pepper and simmer over a medium heat for 5-7 minutes. Add a little water to loosen the mixture so you get a sauce like consistency. Taste and adjust seasoning. Make four holes in the mixture and carefully crack an egg into each, sprinkle with a little salt. Cook over a gentle heat for about 10-12 minutes till the eggs are set and the sauce is slightly reduced (if you want the yolks to firm up cover the pan with a lid and cook for a further few minutes). Serve hot with a drizzle of whipped yoghurt (I used whipped labneh), a scattering of chopped parsley or coriander and a generous pat of butter over the top, along with some pita bread to mop up everything! 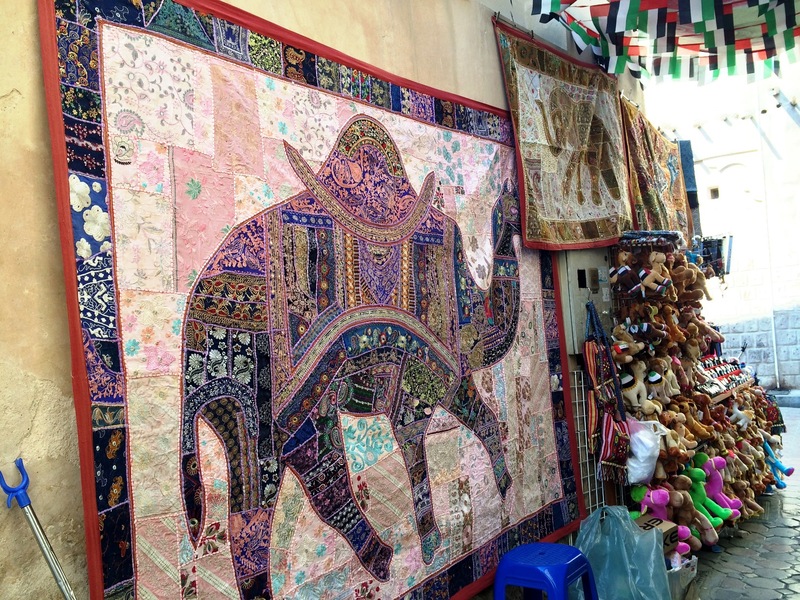 This entry was posted in Baking, Breakfast, Brunch, Main and tagged breakfast, brunch, cafés, Dubai, pita bread, shakshouka, shakshuka. Bookmark the permalink.